Having demolished its original goal, the Reading Rainbow Kickstarter crew is now aiming for $5 million. 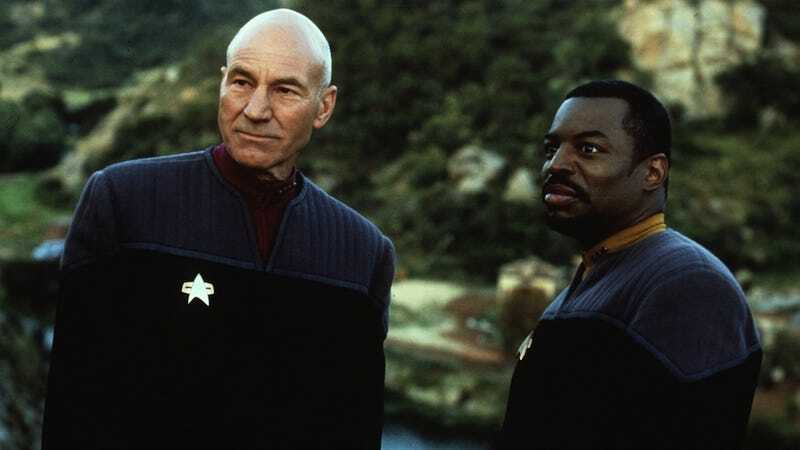 To get there, LeVar Burton has called upon his Star Trek colleagues for a series of live readings in L.A. and New York. Among them: Patrick Stewart and William Shatner. The second episode will feature the "Women of Star Trek," including Marina Sirtis and Gates McFadden. Also appearing in the segment will be Jeri Ryan and Captain Janeway herself, Kate Mulgrew (who hopefully will do some research into her reading material beforehand this time). Only time will tell how these will hold up compared to the classic Reading Rainbow episode behind the scenes of Star Trek: TNG.